Join the Real Diaper Association (RDA) for $25/year and volunteer to be a Real Diaper Circle Leader. The RDA is a non-profit agency whose primary mission is to educate parents about cloth diapering. Teach a cloth diapering class for parents in your community. Organize the class with a day care, pediatrician, OBGYN, WIC office, local baby or cloth diaper store, doula, moms group, church group, or other parenting and maternity office. Parents want to see and touch cloth diapers before they make the commitment to use them. Amanda at The Eco Friendly Family has some great resources you can print and use when teaching local classes. Talk to your friends and family who are pregnant or who have children in diapers. Let them know that there are other options available for them besides disposable diapers. Show off your cloth diapers! In warm months let your baby wear their diapers with a t-shirt only. Cloth is so cute you’ll want it to show! Be proud of your cloth diapers when in public. You never know what conversation will be sparked in the changing room. Wear cloth diapering advocacy gear. You can find cloth diaper inspired t-shirts, buttons, water bottles, and tote bags on Cafe Press or at retailers like Shop DDL, the new apparel line by Dirty Diaper Laundry. Give or loan Changing Diapers, the Hip Mom’s Guide to Cloth Diapers book by Kelly Wels to friends, family or new parents. This great resource can help educate anyone on cloth diapering including day care centers and medical professionals. Pair it with a single cloth diaper and you have the perfect baby shower gift. Lend a diaper (or two) to a friend to try. Even if they only use cloth diapers part time they will see just how easy cloth diapering can be. Write about cloth diapers. Share your story and experience with others by writing on blogs, for newspapers, magazines, or other publications. You never know who may ready your story and decide to give cloth diapers a try. Profess your love of cloth diapers with a brand new tattoo! Attend the Great Cloth Diaper Change on Saturday, April 21st. Join the thousands of other parents who are going to attempt to break last years World Record for the most babies changed into a cloth diaper at the same time. 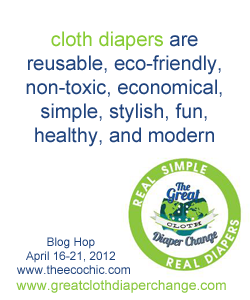 Real Diaper Week continues tomorrow as I talk about how cloth diapers can help reduce waste. Until then visit these other fabulous bloggers in the community as they share posts about how to cloth diaper, cloth diaper basics, and how to become an advocate for cloth diapers. Special thanks to Kim at Dirty Diaper Laundry and Amanda at Eco Friendly Family for their help on #9 and a special thank you to the patient tattoo artist who did not laugh once when I showed him the drawing of what I wanted. Love the tattoo!! The woman on my back is bum naked. Guess the tattoo artist didn’t get the cloth diaper memo. I am working on #1 and #2 and um, maybe #9 🙂 But I have done all the rest! (Organized the GCDC last year and this year!) Nice tattoo! Great post Calley! Next year I really gotta pick it up so I can host next year! New Follower from yesterdays blog hop! 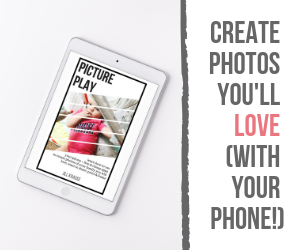 Your blog has alot of great information! Nice tattoo 🙂 Seems well executed. Nice subtle, not too black.